New Delhi, Mar 05: According to a new study showing South-Asia's battle with degrading air quality and the global climate accord, India accounts for having seven of the top 10 of the most polluted cities in the world. 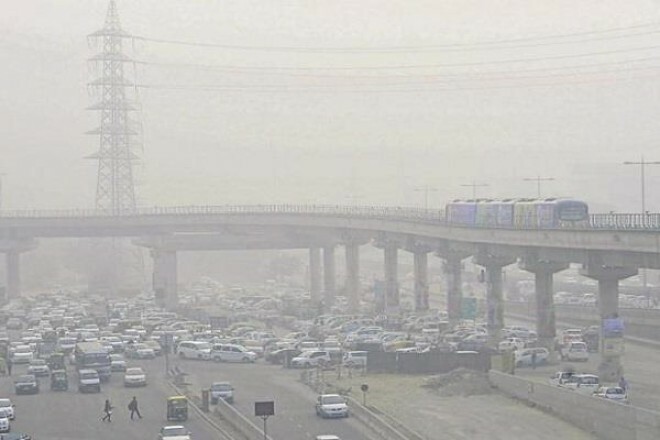 Gurgaon which is located in India's capital New Delhi, is the most polluted city in the world, according to data released by IQ Air Visual and Greenpeace. Even though Gurgaon was able to better its pollution score from the previous year it still led the charts. Pakistan’s Faisalabad was the only non-Indian city in the top 5, with Ghaziabad, Faridabad and Bhiwadi making the cut. The index measures the presence of PM 2.5 which is a pollutant which can go deep in the lungs and bloodstream of a human being causing various respiratory and other lung diseases. The executive director of Greenpeace Southeast Asia said that these high pollution numbers can have enormous impacts on health and even our wallets. Along with the death toll arising with these pollution figures, there's an estimated cost of USD 225 billion in lost labour and trillions in medical costs. To make matters worse India has 22 of the top 30 most polluted cities in the world with China having 5, Pakistan with 2 and one in Bangladesh. The World Bank reckons as much as 8.5 percent of India’s GDP is racked up in health care costs and productivity losses due to pollution. China made tremendous strides in its otherwise dismal showing in managing pollution figures, with as much as 12 percent fall in average concentrations from the previous year. This should help President Xi Jinping in his National People's Congress meetings that start this week.